Raising the federal minimum wage to $15 by 2024 would boost hourly pay for more than 20 million workers in the 21 states where the minimum wage is $7.25, and for nearly 13 million more in the 13 other states where the minimum wage is less than $9. Based on data and estimates from researcher David Cooper of the Economic Policy Institute, this fact sheet highlights the impact that the Raise the Wage Act of 2017—legislation that proposes gradually raising the federal minimum wage to $15 by 2024—would have in the 21 states stuck at $7.25 and in the 13 other states with minimum wages of less than $9. About half (20.7 million) of the 41.5 million workers whose hourly pay would rise are in the 21 states stuck at the federal $7.25 minimum wage. Eighty percent (33.4 million) of the 41.5 million workers whose hourly pay would increase are in the 34 states with minimum wages of less than $9. While 30 to 40 percent of the workforce in the 21 states are stuck in low-wage jobs, the fact that fewer than 5 percent in nearly all those states earn the rock-bottom minimum of $7.25 or less shows that the federal minimum is far too low and is not doing the job of raising pay for workers at the bottom. State lawmakers are making Congress’s inaction worse by refusing to raise the minimum wage at the state level, and simultaneously preventing cities from doing so. Seventeen of the 21 states stuck at the federal $7.25 minimum wage have passed “preemption” laws that strip cities of the power to raise wages. Cost-of-living data show that in all 50 states, a single worker without children will need $15 an hour by 2024 to cover basic living costs—and that workers with children and those in high-cost states will need even more. In the 21 states where the minimum wage is stuck at $7.25, the Raise the Wage Act of 2017 would deliver raises for more than 20 million workers by 2024. 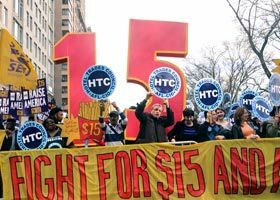 It has been 10 years since Congress last enacted a federal minimum wage increase, and eight years since that legislation’s last increase took effect. The federal minimum wage is supposed to provide a meaningful standard for the nation’s lowest-paid workers throughout the United States, regardless of where someone works. But with the federal minimum wage still stuck at a poverty-level $7.25 per hour since 2009, it is falling far short of the purpose of serving as a backstop against unfair wage practices. That is especially true in the 21 states that do not have a state minimum wage higher than the federal minimum—where $7.25 is the minimum wage and millions of low-wage workers continue to fall further and further behind. While 30 to 40 percent of workers in these states remain stuck in low-wage jobs, only a very small share of them—in most states fewer than 4 percent—earn the rock-bottom federal minimum wage of $7.25 or less. This shows that $7.25 is far too low and is not doing the job of raising pay for workers at the bottom. While 30-40% of the workforce in these 21 states work in low-wage jobs, only a very small share of them—in most states fewer than 4 percent—earn the rock-bottom federal minimum wage of $7.25 or less. This shows that $7.25 is far too low and is not raising pay for workers at the bottom. Twenty-nine states plus the District of Columbia currently have minimum wages higher than the federal minimum. Twenty-one of those states, plus D.C., have approved minimum wage increases since 2014. 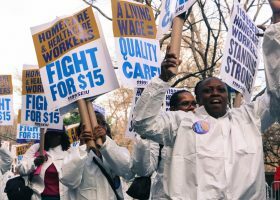 California, New York, and D.C. are phasing in $15 minimum wages. Some of the nation’s larger cities, such as Seattle, San Francisco, Los Angeles, Chicago, and Minneapolis, have enacted either higher local minimum wage levels or faster phase-ins than their states’ rates. $7.25 rate have minimum wages that are only slightly higher—less than $9 per hour. In those states, either governors or legislatures have blocked further increases—and in most of them, workers have received raises only when they have gone directly to the voters with ballot initiatives to raise the minimum wage. In the 21 states that have not enacted any increases in the minimum wage, the prospects of state or local legislative action to raise the minimum wage are slim to nil. Not only have those states blocked any action to raise wages at the state level, but 17 of those 21 states have enacted minimum wage “preemption” laws, prohibiting cities and counties from enacting higher local minimum wages. Until Congress acts, pay in those states will remain low, hurting millions of workers and local economies. Only Congressional action will provide the adequate wage standard that workers throughout the United States need and deserve. In May, Senators Patty Murray (WA) and Bernie Sanders (VT) and Representatives Robert C. “Bobby” Scott (VA) and Keith Ellison (MN) introduced the Raise the Wage Act of 2017. If enacted, it would gradually raise the federal minimum wage to $15 by 2024, adjust it each year after that to keep pace with median wage growth, and eventually phase out the $2.13 subminimum wage for tipped workers. By 2024, a single worker without children, living anywhere in the U.S., will need $15 an hour just to cover basic living costs. Workers with children and those in high-cost states will need even more. Below are additional data points that show, for workers in these 21 states, just how important it is that Congress take action and pass the Raise the Wage Act of 2017. In these 21 states, an average of 36.8 percent of the workforce would receive raises from a minimum wage increase to $15 by 2024—a much higher share than the national average (29.2 percent). Among these 21 states, in key battleground states carried narrowly by President Trump in the 2016 election—Pennsylvania and Wisconsin—the percentages would be similarly high—35.4 and 32.5 percent, respectively. In 19 of the 21 states, more than 3 in 10 wage-earners (more than 30 percent) would be impacted by raising the federal minimum wage to $15 by 2024; the highest share is 44.4 percent, in Mississippi. In seven of those states (Georgia, Indiana, North Carolina, Pennsylvania, Tennessee, Texas, and Virginia), more than one million workers would be affected by raising the federal minimum wage to $15 by 2024; the highest number of affected workers would be in Texas, at 4,687,000. In these 21 states, an average of 36.8% of the workforce would receive raises from a minimum wage increase to $15 by 2024—a much higher share than the national average of 29.2%. Even as the majority of states and many localities have acted—and many will continue to act—to raise wages for their lowest-paid workers, millions of workers in these 21 states will fall further and further behind, unless Congress acts. Enacting the Raise the Wage Act of 2017 would finally bring the federal minimum wage above a poverty-level wage, providing the meaningful wage floor that workers in every state need. In key battleground states narrowly won by President Trump—Pennsylvania and Wisconsin—35.4 and 32.5 percent of the workforce, respectively, would see pay raises from the legislation. 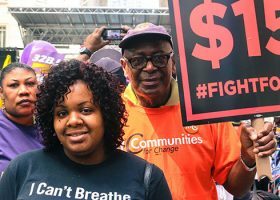 Spurred by the Fight for $15 movement, an increasing number of states and around 40 cities and counties have already set their minimum wages well above the federal minimum. Seven states and D.C. are phasing in minimum wages of between $12 and $15. 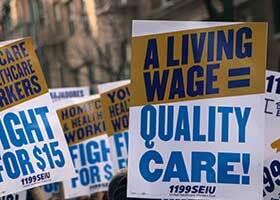 Already, seven states and D.C. currently have minimum wages of $10 or more. Still, of the 29 states with minimum wages higher than the federal $7.25 minimum, nearly half have very low minimums: 13 of those states have minimum wages of less than $9 per hour (see Table 2). Nearly all of these 13 states have higher minimum wages than the federal minimum only because of grassroots citizen ballot initiatives, with minimum wage increases passed either directly by the voters or by legislatures in response to ballot campaigns. In those cases, grassroots campaigns overcame the obstruction of politicians and lobbyists. Still, either governors or statehouse lawmakers in many states continue to block steps to raise their state minimum wages—making Congressional action to pass the Raise the Wage Act of 2017 essential. More than 12.7 million workers in these 13 states would see their pay increase by raising the federal minimum wage to $15 by 2024, accounting for 30 percent of all the affected workers in the United States. Fully 33.4 million workers in the 34 lowest minimum wage states (the 21 states at $7.25 plus these other 13 states with less than $9 minimum wages) would see wage gains from raising the federal minimum wage to $15 by 2024. Eighty percent of all workers nationally who would benefit from raising the minimum wage to $15 by 2024 live in the combined 34 lowest minimum wage states. In 12 of these 13 states, more than 3 in 10 wage-earners would be benefit from raising the minimum wage to $15 by 2014, with the highest shares being in Nevada (40.8 percent) and New Mexico (42.2 percent). In six of these 13 states (Florida, Illinois, Michigan, Missouri, New Jersey, and Ohio), more than one million workers would benefit from raising the minimum wage to $15 by 2024; the highest number of affected workers is in Florida, at 3,264,000. Five of these states currently have preemption laws prohibiting higher local minimum wages (Arkansas, Florida, Michigan, Missouri, and Ohio). Low minimum wages act to suppress wages across a much broader swath of the wage distribution, weighing down wage growth not only for the lowest-paid workers but also those earning somewhat higher wages. It is the inverse effect of what happens when we raise the wage floor, and minimum wage increases spur raises for wage-earners whose pay was already above the floor. 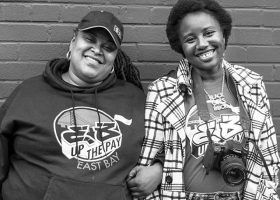 With 21 states still stuck at the $7.25 federal minimum wage, and another 13 states with very low minimums of less than $9, these low minimum wages are dragging down pay for the bottom third or more of workers—with far-reaching negative consequences for families, communities, and the broader economy. Making matters worse are state preemption laws, which prohibit cities, counties, and other local jurisdictions from enacting higher local minimums in response to too-low federal and state minimum wages. Twenty-five states currently have such local minimum wage bans in effect, and they have spread in recent years. Legislatures in 14 states have enacted minimum wage preemption laws since 2013. They act as legal reinforcements of state-mandated wage suppression. It is no coincidence that virtually all of the states that prohibit higher local minimum wages are states with the lowest minimum wages. Seventeen of the 21 states where the minimum wage is the federal minimum of $7.25 have adopted preemption laws banning higher local minimum wages (see Table 1). Of the 34 states with the lowest minimum wages, 22 have preemption laws on the books. In these states, lawmakers who demand that workers’ wages be kept as low as possible and refuse to raise their states’ minimum wage have acted to wall off minimum wage increases sought by local communities and their elected officials. These wage-suppressing lawmakers have become even more brazen of late. In the last year and a half, state lawmakers in Alabama, Missouri, and Iowa have nullified minimum wage increases previously approved by local governments in Birmingham, St. Louis, and several Iowa counties. A decade has passed since Congress last acted to raise the federal minimum wage. Eight years ago, on July 24, 2009, was the last time the federal minimum increased—to a paltry $7.25. Due to Congress’s refusal to act, the federal minimum wage, which is followed by 21 states, remains stuck at that poverty level. As a result, 30 percent of workers nationally—and as many as 40 percent in low minimum wage states—find themselves stuck in low-paying jobs today. If enacted, the Raise the Wage Act of 2017 (S.1241/H.R.15) would lift pay for more than 41 million workers in America, including more than 20 million workers in the 21 states still stuck at $7.25, and nearly 13 million more in 13 other states where the minimum wage is less than $9 per hour. 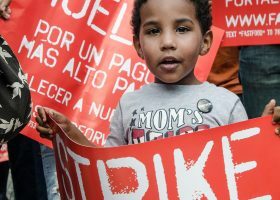 Even as dozens of states and cities continue to pursue the substantially higher minimum wages workers need and deserve, huge areas of the country and tens of millions of hardworking Americans are being ill-served by those in Congress and state legislatures who are beholden to low-wage-industry interests and determined to keep these workers locked in poverty with unconscionably low wages. 2 U.S. Bureau of Labor Statistics. April 2017. Characteristics of Minimum Wage Workers, 2016.